I was working at my computer in the study a short while back, when there was an explosion of high-pitched notes very nearby. 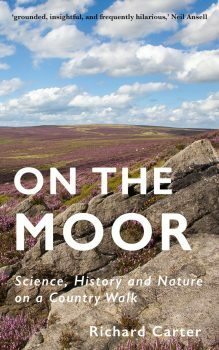 As I explain in my book On the Moor, although I'm generally a fairly placid chap, I'm very highly strung when it comes to sudden noises: I invariably jump out of my skin and bellow. This time was no exception. I jumped out of my skin and bellowed. I turned to look out the window, only to find myself nose-to-beak with a wren. It had perched two metres away from me on my windowsill. 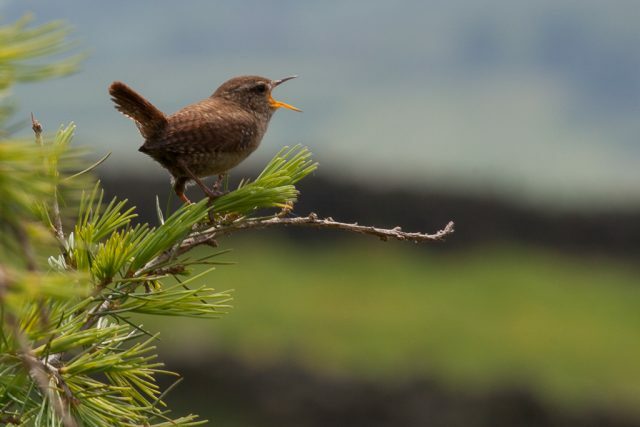 As I reached for my camera, which happened to be right beside me next to my computer keyboard, the wren flitted off into the tree outside the study window, then continued to belt out its territorial song. I like wrens a lot. I like their bolshie attitude. And I can never get over how such a powerful sound manages to emanate from such a small bird.